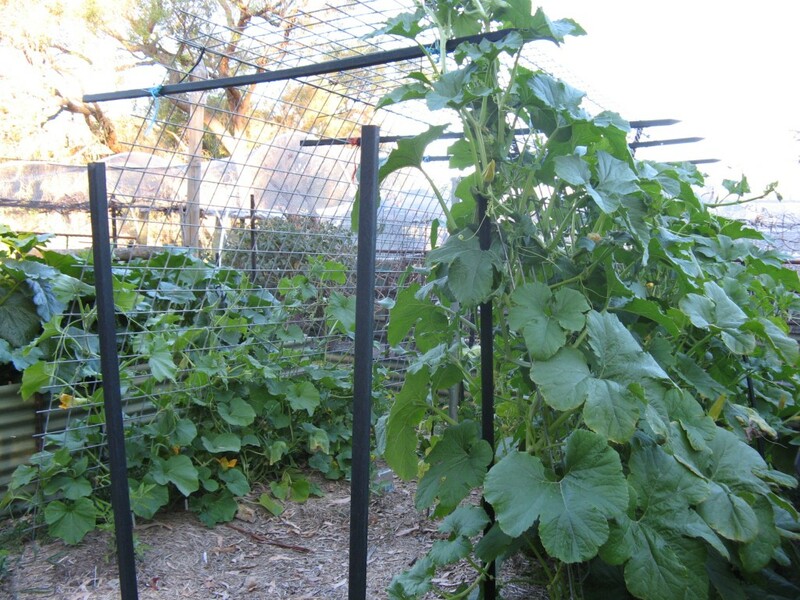 How to grow LOTS of pumpkin in one remaining vegetable garden bed??? Construct ‘Pumpkin Palace’ to grow them UP instead of on the ground! So far, it is looking great, with pumpkin, okra, vegetable spaghetti, cucumber…..and probably more…..growing up the structure, with sweetcorn and beans growing underneath.